We are excited to kick off our 2015-2016 Secret Messenger program. 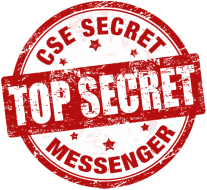 Designed for our classroom teachers, specialists, support staff, intervention staff, administrators, office staff, and educational assistants, the Secret Messenger program provides an opportunity to recognize our incredible teachers and staff with random acts of kindness (RAKs). A 100% voluntary and "secret" program, it begins in September and runs throughout the school year, so you can sign up any time. You can give once or as many times as you wish during your specified period of time. These are to be small tokens of thanks to show our appreciation. (It does not need to be extravagant! A homemade cookie or a drawing from your child is much appreciated.) You can leave items in the staff mailboxes in the office, or you can get creative and find other ways to deliver these little surprises. All primary and intermediate teachers and classroom-specific educational assistants are listed individually on the sign-up form. To see their "My Favorite Things" list, find your teacher and click Favorites. After you have completed your RAKs, please post your acts in the Journal so that the next person does not repeat gifts. Our administrators are listed individually on the sign-up form. To see their "My Favorite Things" list, find the administrator and click Favorites. After you have completed your RAKs, please post your acts in the Journal so that the next person does not repeat gifts. The specialists are grouped together as one sign up for a specific item (e.g., donuts). If you'd like to do individual gifts, find the staff member and click Favorites for ideas. The office staff, EAs, and Bistro staff are grouped together as one sign up for a specific item (e.g., donuts). If you'd like to do individual gifts, find the staff member and click Favorites for ideas. The intervention teachers are grouped together as one sign up for a specific item (e.g., muffins). If you'd like to do individual gifts, find the staff member and click Favorites for ideas. The SSN Department is grouped together as one sign up for a specific item (e.g., bagels). If you'd like to do individual gifts, find the staff member and click Favorites for ideas. The preschool staff is grouped together as one sign up for a specific item (e.g., donuts). If you'd like to do individual gifts, find the staff member and click Favorites for ideas. Are you having trouble entering your RAKs in the journal? Click here.